AP Telangana SSC Hall Tickets 2018 Download Option Available Now. Students can Download Telangana 10th Hall Tickets name wise/ School wise and Andhra Pradesh 10th Hall Tickets From Official website bse.ap.gov.in and Manabadi. AP TS SSC Hall Tickets 2018 Download : Andra Pradesh and Telangana 10th class examinations are likely to begin on 15 March 2018. The examinations start date is very close. Students need to download and carry their hall tickets without fail. The ssc board of both the states are already started their preparations to conduct examination peacefully. So here we are to providing all the students with AP TS SSC hall tickets 2018 download links. The AP and TS SSC Board will report the AP and TS tenth Class Timetable and Hall tickets of students attending the Board of Secondary Education Andhra Pradesh (BSEAP) and Board of Secondary Education Telangana State (BSETS) in different schools. As per the timetable, the tenth Class exams are held between months March 2018 to April 2018. All student aspirants experiencing their 10th standard from all private and government schools should take note of the AP SSC and TS SSC Time table 2018. It is very important for students to download and carry their hall tickets to examination centers. 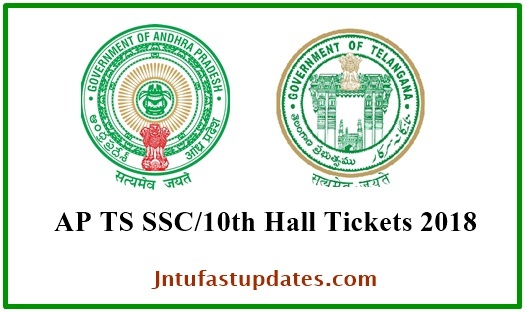 You can download ap ts ssc hall tickets 2018 in board official websites as well as in manabadi.com. In the hall ticket you will have name of the candidate, date of birth, father’s name, center name, subject’s name with date and time schedule, venue of the examination and candidate’s roll number. You will find options such as Regular, Private, OSSC and Vocational. Click on the appropriate button. Submit the required details and download your hall ticket. Save the Hall ticket and print it.